A fire at the Pestana Viking hotel, which is located at the Senhora da Rocha beach in Lagoa, on Wednesday morning led to the evacuation of all guests from the venue. According to the Lagoa Fire Department chief, no injuries were reported, and the evacuation order was merely a precautionary measure and to avoid cases of smoke inhalation. Officials said the fire destroyed a parking garage alongside the hotel where 18 vehicles had been parked. Six of the cars were completely destroyed along with a motorcycle, though the remaining vehicles were all damaged in the blaze. 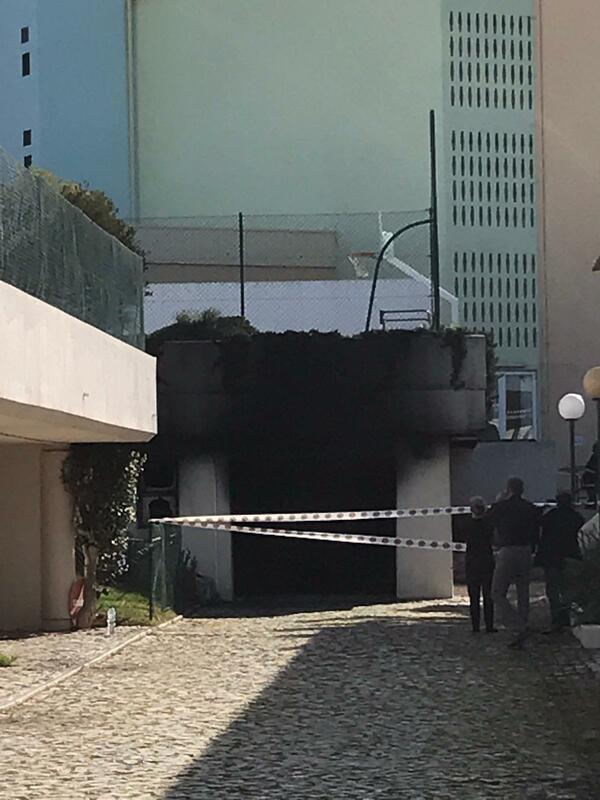 The alarm was raised at 7.37am on Wednesday morning, which saw 31 firefighters called to the scene, along with 12 vehicles from the Lagoa, Portimão, Silves and Albufeira fire houses.